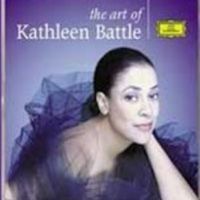 Alternative Title is exactly "Art of Kathleen Battle, The"
Thank you for visiting The Spirituals Database. Please submit contributions, comments, inquiries or suggestions to Randye Jones at ansdiscog@spirituals-database.com. Contents of The Spirituals Database may be used for non-commercial purposes only if the source is acknowledged. All material remains the property of its creator. All commercial rights reserved.